Community service in the Upper School gives students direct experience with a variety of needs in our community. By exposing boys to struggles of others and enabling them to build relationships with individuals of different socioeconomic backgrounds, we teach them that their presence can have an impact. We encourage students to build relationships that have the potential to last far beyond their high school years. Through committing time and energy in selfless ways, our boys learn to put others’ needs ahead of their own. Repeated interactions help students personally understand the recipients of the generosity, and enable them to develop greater empathy. We will continue to place significant emphasis on community service as a major piece in the development of our boys. Students have recently been involved in service efforts with the Boys and Girls Club of Greenwich, Edison School in Port Chester, Inspirica, Waterside School, Eagle Hill, The Carver Center, MidNight Run in New York City, Neighbor-to-Neighbor, Promise World Wide in India, and JBFC in Africa. Please contact us if you have any questions at 203.625.5854 or jmontanez@brunswickschool.org. 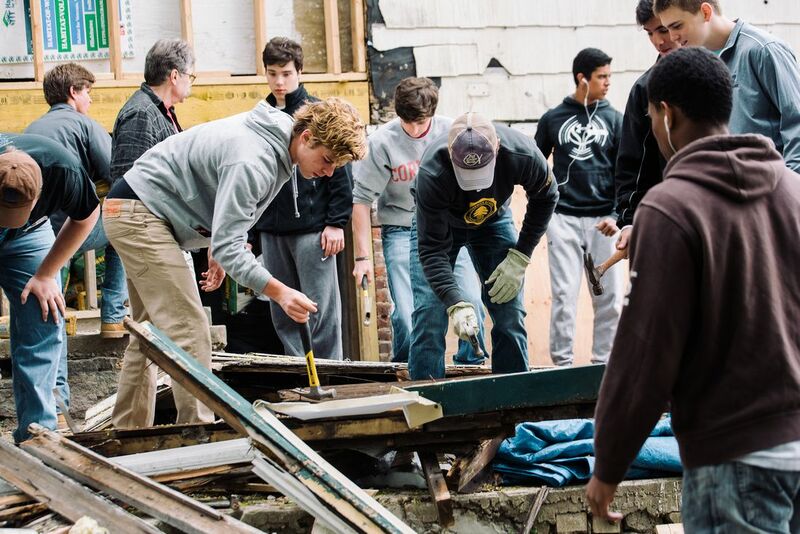 Ten Brunswick students, along with three members of the faculty, traveled to New Orleans, La., to spend the week working for the St. Bernard Project, a nationally recognized leader in disaster resilience and recovery founded following Hurricane Katrina in February 2006. 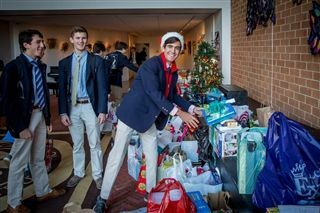 In response to Headmaster Philip’s letter to the Brunswick community — asking boys to consider a donation of any size to help those who have lost so much in Texas — students from all school divisions responded by raising $4,103.38. ’Wick students of all divisions have been busy with a host of community-service initiatives on and away from campus during the holiday season — taking time aside from their everyday individual and collective pursuits to think about others in need during this special time of year. Brunswick received the Lillian Butler Davey Education Volunteer Award — along with a citation from the Connecticut General Assembly — for its longstanding service and commitment to the Boys & Girls Club of Greenwich. Ten Brunswick students, along with three members of the faculty, have traveled to New Orleans, La., to spend the week working for the St. Bernard Project, a nationally recognized leader in disaster resilience and recovery founded following Hurricane Katrina in February 2006. 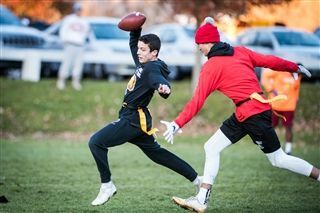 Brunswick students from the football and soccer teams joined forces in a fundraiser for the American Cancer Society, donning pink items in their home games on Saturday in support of breast cancer research. In a collaborative effort between Brunswick, Audubon Greenwich, and the U.S. Fish & Wildlife Service, Brunswick unveiled a new Schoolyard Habitat and Outdoor Classroom on Friday, October 23, at Edwards Campus.